Each year on the first weekend of June the New Phil can be found at The Street in Chestnut Hill at our annual Pops in the Park program outdoors on the green near Shake Shack. 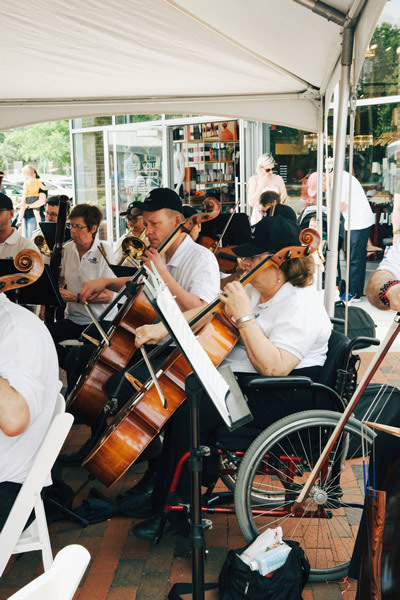 This fun, patriotic and diverse program kicks off the summer performance season at The Street with a lively program of light classical music, show tunes, songs from the movies and even a march or two! Free and open to the public this fun early summer concert is another opportunity to hear wonderful music up close and personal!